Insider Viewpoint of Las Vegas Discount Casino Show Tickets & More! Insider Viewpoint of Las Vegas proudly offers our readers various discounts. Rather than offering coupons, or discount codes, we offer straight forward deals on buying Las Vegas Discount Show tickets. In addition to show ticket discounts, we also offer Las Vegas tour discounts, Las Vegas attraction discounts, ALL at 50% of regular box office prices. 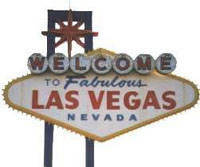 Join our FREE Las Vegas email newsletter that contains dozens of Las Vegas discounts, deals and free show tickets. Shows - Tours - Attractions - and more!